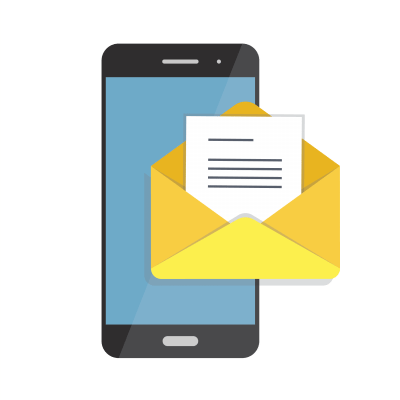 Writer's Relief Client News - Writer's Relief, Inc.
At Writer’s Relief we respect our clients’ privacy and don’t publish any information about them without permission. Whether our clients announce their honors and awards or not, we LOVE cheering for them and are proud of their amazing achievements. Learn more about Writer's Relief author's submission services. Want to become a client? Submit your writing to our Review Board for consideration today! 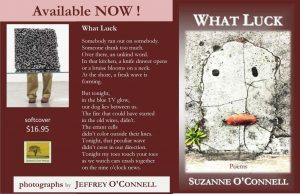 Congratulations to Suzanne O’ Connell on the release of her new book, What Luck! 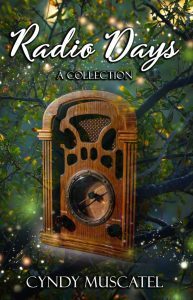 Congratulations to Cyndy Muscatel, whose short story collection Radio Days was recently published with the help of Self-Publishing Relief! Get your copy at Amazon or Barnes & Noble and find out more about Muscatel and her work by visiting her website. Congratulations to Janna Cohen! Her short story “Cat and Rose” has been nominated for a Pushcart Prize by The MacGuffin! Congratulations to Irene O’ Garden! 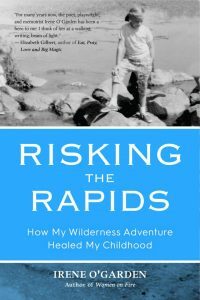 Her memoir, Risking The Rapids: How My Wilderness Adventure Healed My Childhood, will be released on January 31, 2019, from Mango Publishing! Congratulations to Suzanne O’Connell! Her poem “Crying is Expected in a Therapy Office” has earned Honorable Mention in the 2018 Steve Kowit Poetry Prize and will be published in the 2019 San Diego Poetry Annual. Congratulations to Pamela Davis! Her short story “Paris Nocturne” has been nominated for a Pushcart Prize! Congratulations to Rachel Tramonte! Her poem “Dead Letter Mail” has been nominated for the 2018 Sundress Best of the Net award. Congratulations to Lynn Hoggard! Her poem “In The Garden” has been nominated for the 2018 Sundress Best of the Net award. Congratulations to Ann Harper Reed! Her short story “Brooch” has been nominated for a Pushcart Prize! Congratulations to John Ballantine! His essay “Half of Something” is a finalist in The Adelaide Literary Award Contest for The Best Essay 2018. 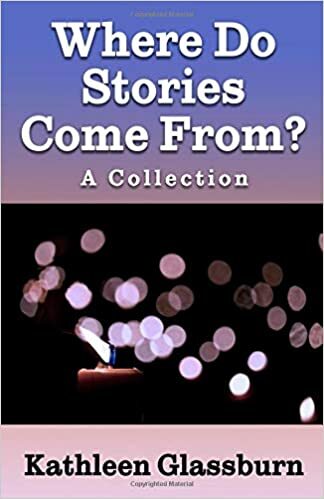 Congratulations to Kathleen Glassburn, whose short story collection Where Do Stories Come From? was recently published with the help of Self-Publishing Relief! Get your copy at Amazon or Barnes & Noble and find out more about Glassburn and her work by visiting her website. Congratulations to Abby Caplin! Her poem “My Daughter Spoke of the Resistance” has been nominated for the 2018 Sundress Best of the Net award. Congratulations to Susan Flynn! Her poem “Ode to My Mistakes” has been nominated for the 2018 Sundress Best of the Net award. Congratulations to Mercedes Lawry, winner of our second annual WaterSedge contest, on the publication of her chapbook! 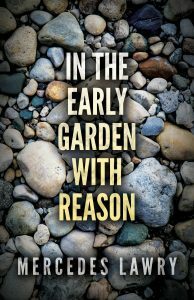 In the Early Garden With Reason was published with the help of Self-Publishing Relief and is available at Amazon. Congratulations to Lynn Hoggard! Her poetry collection Bushwhacking Home, won third place in the National Federation of Press Women’s 2018 National Communications Contest! 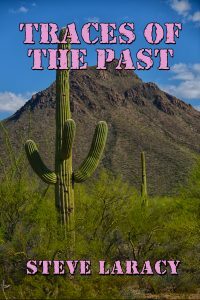 Congratulations to Steve Laracy on the publication of his novel Traces of the Past, recently published with the help of Self-Publishing Relief and available at Amazon! Congratulations to Lynn Hoggard! Her poetry collection, Bushwhacking Home, won first place in the 2018 Press Women of Texas poetry competition. Congratulations to Matthue Roth! He’ll be reading at AWP this weekend, on 3/8! Congratulations to Ann Harper Reed! Her short story “Bhishma” is published in Tayo. 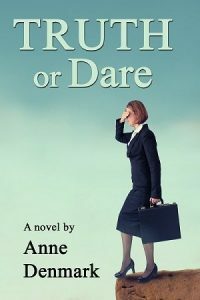 Congratulations to Anne Denmark on the release of her novel Truth or Dare, recently published with the help of Self-Publishing Relief and available at Amazon! Congratulations to Lynn Hoggard! Her poem “Love in the Desert”, has been nominated for a Pushcart Prize! Congratulations to Alex Frankel! His essay, “Limitless”, has been nominated for a Pushcart Prize! Congratulations to Delphine Hirsh! Her short story, “The Webbing,” has been nominated for a 2017 Pushcart Prize! Congratulations to Richard Key! His essay, “The Last Hundred Days” has been nominated for a 2017 Pushcart Prize! Abby Caplin will be reading her poetry on Friday, November 10th, 2017 at Catamaran’s Fall Issue Launch and on Friday, November 17th at “At the Inkwell Poetry Night” at Alley Cat Books in San Francisco, sponsored by SF Creative Writing Institute. Congratulations to Lucinda Watson! Her poems “In Rome with My Dad on Business” and “Letter Yet Unsent” have been nominated for a 2017 Pushcart Prize! Congratulations to Cathy Allman! Her poem. “Not in the Wonder Box,” has been nominated for a 2017 Pushcart Prize! Congratulations to Trish Meek! Her collaborative film submission, Ghost Ranch, has been short listed as a selection in the Showcase Matinee of the Rabbit Heart Poetry Film Festival this year. Congratulations to Jhon Sanchez! His short story “Weekly Talk” was selected as finalist in Midway Journal’s -1000 Below: Flash Prose and Poetry Contest. 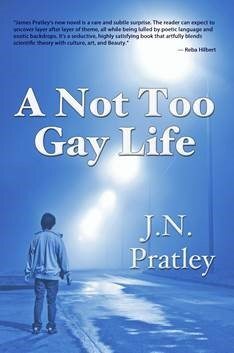 Congratulations to Jim Pratley on the recent publication of his novel A Not Too Gay Life, which is available at Amazon and Barnes and Noble. 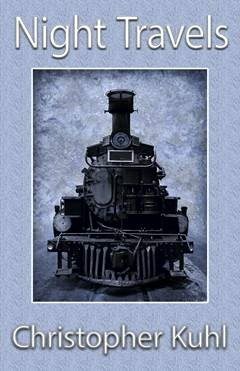 Congratulations to Christopher Kuhl, whose poetry collection Night Travels was recently published with the help of Self-Publishing Relief. Christopher’s book is available on Amazon. 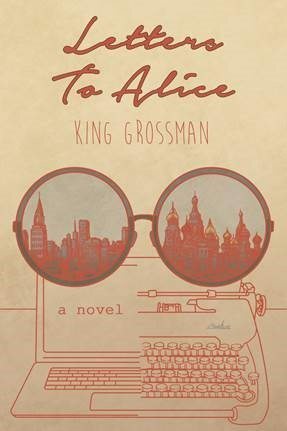 Congratulations to King Grossman, whose novel Letters To Alice recently received the Gold Medal for Inspirational/Visionary Fiction in the 2017 Global Ebook Awards! Letters To Alice was also named the Visionary Fiction Distinguished Favorite in the Independent Press Awards, and was a Finalist for Literary Fiction in the National Indie Excellence Awards. For more information about King and his work, please visit his website. Congratulations to Kathryn Ramsperger! Her novel, The Shores of Our Souls, will be released on August 1, 2017. Please click on this link: Shoresofoursouls.com for more details on Kathryn’s book and to order a copy! Congratulations to Kendra Tanacea! Her manuscript, Garbage Heart, is a semi-finalist in the annual Washington Prize contest from The Word Works. Congratulations to Kerry Campbell! Her manuscript, Dreaming of France, just won the 2017 Blue Light Press Poetry Award. Kerry trusted Writer’s Relief with the proofing of her manuscript, which will be released in September. Looking for an intriguing summer read? Serenity Books is pleased to announce the release of “Jewels of San Fedele,” a collection of short fiction, memoir, art and photography that our client, D Ferrara is featured in. After a near magical week in Tuscany, a group of writers shared their experiences in this paperback, now available on Amazon. Please click on this link: https://www.amazon.com/Jewels-San-Fedele-D-Ferrara/dp/0996699236/ref=sr_1_1?ie=UTF8&qid=1493940544&sr=8-1&keywords=d+ferrara+jewels to learn more about this collaboration and order a copy! Congratulations to Neerja Raman! Her short story, “Once Upon a River” is published in Verdad. Congratulations to Helen Wickes; her poem “Cattails in Sheep Canyon” was selected to appear in the tenth issue of Chagrin River Review, a special anthology of work featured in the journal over the past five years! Congratulations to Donna Emerson, whose poem “Shining Brown Hair” was awarded an Editor’s Choice Award from the Paterson Literary Review’s Allen Ginsberg Poetry Award! Excellent news for Mary Louise Kiernan Hagerdon; her poem Mappa Mundi Echoes was just published in Chronogram. Congratulations to Kendra Tanacea! Her second book, garbage heart, was chosen as a semifinalist for the Elixir Press 17th Annual Poetry Awards. Leisha Douglas will be giving a poetry reading at the Desta Gallery in San Anselmo, CA on Feb. 11th. Congratulations to Marcia B. Loughran, winner of our WaterSedge Poetry Chapbook Contest! 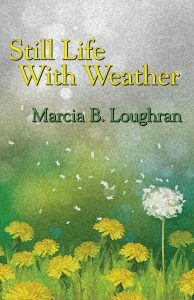 Her chapbook, Still Life With Weather (recently published with the help of Self-Publishing Relief), is available at Amazon. Congratulations to Kerry Campbell, who just won The New Millennium Writer’s 42nd poetry prize! Check out her winning piece here! Congratulations to Mark Belair, whose poem “chick” was nominated for a Pushcart Prize by Gemini Magazine! 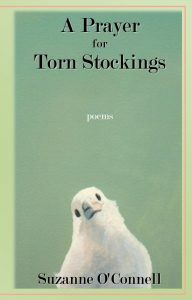 Alison Hicks will be reading her poetry on Saturday, December 10, 5-7 pm. The event will be held at Jackson Inn, 101 North Dupont Rd, Wilmington, DE. Contact: Bob Davis, rhambling@verizon.net. Congratulations to Marc Tretin whose debut poetry collection, Pink Mattress, was published by NYQ Books. The collection is available on Amazon. Congratulations to Debra Hori! Her essay, “A Clothesline Meditation,” has been nominated for a Pushcart Prize. Congratulations to Tamara Adelman, whose essay “Rustic Canyon”, published in Rubbertop Review, was chosen as a Notable Essay in Best American Essays 2016! Congratulations to Mark Conkling whose short story, “Into the Wild Blue Yonder”, will publish in The Penmen Review in late October. Congratulations to Charles R. Young! 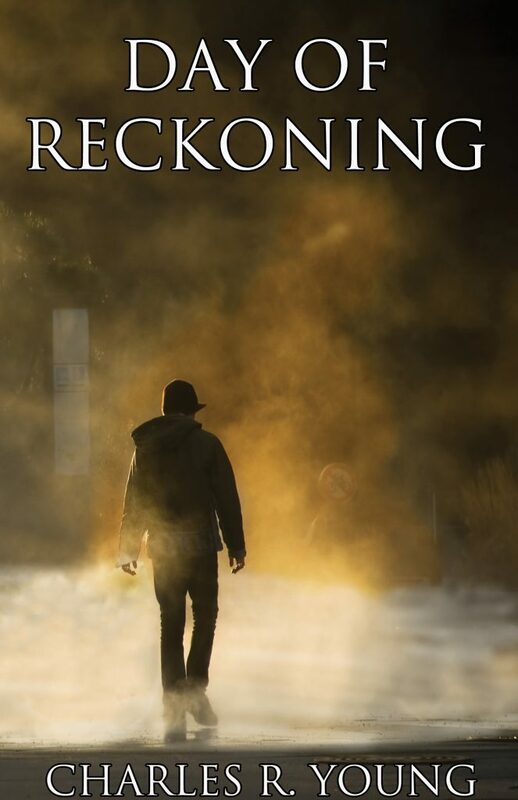 His debut novel, Day of Reckoning (recently published with the help of Self-Publishing Relief), is available at Amazon and Barnes & Noble. Find out more on Charles’s website and Facebook page! Congratulations to Lynn Hoggard! Keep an eye out for her new collection of poetry, Bushwhacking Home, which will be published by TCU Press in the spring of 2017! Congratulations to Kendra Tanacea! Her book, A Filament Burns in Blue Degrees, will be published by Lost Horse Press in early 2017! Congratulations to Mary Louise Kiernan Hagerdon, whose poem, “The Triangle”, was published in The New York Times Metropolitan Diary! You can read her poem here. Congratulations to Abby Caplin! Abby is an award recipient of San Francisco’s Poets Eleven Contest 2016. Congratulations to Loren Stephens! Her book, “Paris Nights: My Year at the Moulin Rouge,” (with Cliff Simon) was published in July by Waldorf Publishing. Loren will be signing copies of her book at The Corner Bookstore on Madison Avenue, New York, NY on October 4, 2016. Congratulations to Debra Hori! Debra won runner-up in Bacopa Literary Review’s 2016 Creative Nonfiction Prize. Congratulations to Patricia Meek who was named as a finalist for the 2016 Rita Dove Award in Poetry (International Literary Awards). Richard also was accepted into Crack the Spine’s upcoming print anthology! You can read the essay that will appear in the anthology here. Congratulations to Suzanne O’Connell, who’s featured as Poet of the Week on the Poetry Super Highway. Congratulations to Lucinda B. Watson, who received two acceptances in one week! Lucinda’s poem, “Barnstorming”, was accepted by Stickman Review and her poem, “Getting Around Town”, was accepted by The Healing Muse. Congratulations to Pamela Davis, who is a semi-finalist in The Pablo Neruda Prize for Poetry! Her poem, “Still//Life” will be published in Nimrod‘s Awards 38 issue due out in October 2016. Congratulations to Saramanda Swigart, whose short story, “The Earth Falls to the Apple,” will be showcased as the featured story in the next issue of Border Crossing! Congratulations to Linda Swanberg! Her poem, “Heron Island, 1966”, won the Willow Review Award. Congratulations to Sarah Odishoo, whose essay “Virtual Reality Is The Real…” was recently published by Michigan Quarterly Review! You can read Sarah’s essay here. Congratulations to Yvonne Leach, whose poem “A Letter to Charlotte” will be featured in the anthology All We Can Hold! Her poem “For the Greater Good” will also appear in the anthology Marry a Monster. Congratulations to Suzanne O’Connell, whose first poetry collection, A Prayer For Torn Stockings, is now available on Amazon! 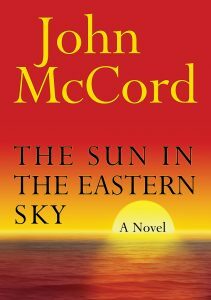 Congratulations to John McCord who will be signing his newest novel The Sun in the Eastern Sky, as well as his first book in this series, Sneak Attack, at Barnes & Noble on Saturday, April 16. If you love thrillers and espionage, this is an event you can’t miss! When: Saturday, April 16, 2:00 p.m.
For more info about the event, click here! Congrats to Kathy Ramsperger who has just signed with LLA’s Johnnie Bernhard to represent her novel The Shores of Our Souls. Congratulations to Jon Pearson for being featured on Superstition Review’s Authors Talk podcast series! You can listen to Jon’s interview on their iTunes channel. 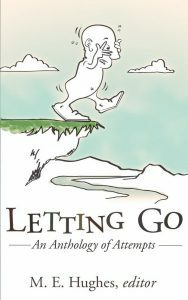 Congratulations to Jhon Sanchez, whose essay “Album for a Poem” was featured in Letting Go: An Anthology of Attempts. You can read Jhon’s interview about the essay here. Letting Go: An Anthology of Attempts was also featured on BuzzFeed as one of the 6 most compelling spring 2016 anthologies! You can view the complete list here. Congratulations to Alison Hicks, whose poem, “Detail, Olive Orchard, Saint-Rémy,” will be included in the Crack the Spine Fall 2015 anthology, and her poem “The Mother as Persephone,” in 50 Over 50: Celebrating Experiencing and Emerging Women Writers, to be launched at the AWP conference in LA at the end of March. 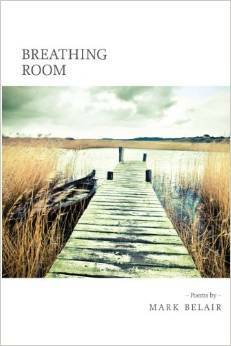 Alison’s second book of poems, You Who Took the Boat Out, has been offered publication by Unsolicited Press. Congratulations to Gippy Adams Henry! 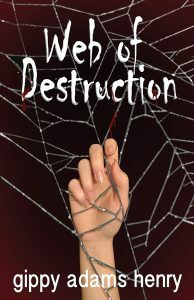 Her debut novel, Web of Destruction (recently published with the help of Self-Publishing Relief), is available on Amazon. Find out more on Gippy’s Author Central page! Congratulations to Naomi Lowinsky, whose poem “Mother’s Severed Head” was chosen to be featured in the Crack the Spine print anthology! Her poem “At the Red Sea” will also appear in Jewish Women’s Literary Annual. Congratulations to Hananah Zaheer for receiving a 2016 Pushcart nomination for her short story “A Video Store Called Desire,” published in Moon City Review! Congratulations to Jed Myers, whose poem “After Parking at Starbucks” won fifth place in the Writer’s Digest Poetry Contest. Jed also received an honorable mention for his poem “One Small Scratch” from the Ruben Rose Poetry Competition. Congratulations to Christopher Kuhl, whose short story, “Wade,” was named the Annual Editor’s Choice of Best Work in Fiction for 2016 by Inscape Magazine. Congratulations to Dolly Reynolds for receiving a 2016 Pushcart nomination for her essay “Pray For Us Sinners,” published in Gemini Magazine! Read “Pray For Us Sinners” here. Congratulations to Mark Belair for receiving a 2016 Pushcart nomination for his poem “Bedtime”, published in Forge! Jhon Sanchez received a 2016 Pushcart Prize nomination from New Lit Saloon Press for his short Story, “The Japanese Rice Cooker,” which has been published in the anthology Startling Sci-Fi, Tales from the Beyond. Congratulations to Kate McCorkle on the 2016 Pushcart Prize nomination she received from r.kv.r.y Quarterly Literary Journal! Congratulations to Suzanne O’Connell on the nomination for 2016 The Pushcart Prize she received from Knot Literary Magazine! Suzanne O’Connell’s recently published work can be found in Forge, Atlanta Review, Crack The Spine, The Louisville Review, Found Poetry Review, and Burningword Literary Journal among others. She lives in Los Angeles. O’Connell was nominated for The Pushcart Prize and for a Best Of The Net Award. Congratulations to Shari Busa Ortiz! 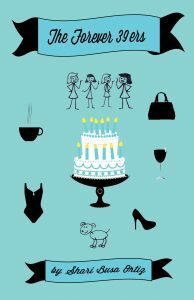 Her debut novel, The Forever 39ers (recently published with the help of Self-Publishing Relief), is available on Amazon and at Barnes & Noble. Find out more on Shari’s website and Facebook page! Join Shari for a book signing at the Starbucks in Hasbrouck Heights, New Jersey! WHEN: Friday, December 11, at 7 p.m. WHERE: 201 NJ-17, Hasbrouck Heights, NJ 07604. Jed Myers’s poem “Now That The Sun Has Set” has been nominated for the 2015 Pushcart Prize by The Briar Cliff Review. Sarah Odishoo’s essay “Germane German: A Lesson In Dispelling” has been nominated for the 2015 Pushcart Prize by Under The Sun. 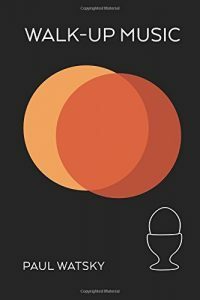 Kelly Watt’s first novel, Mad Dog, is available on Amazon. 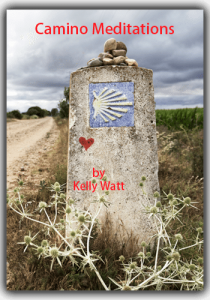 The second edition of her mini travel memoir, Camino Meditations, was released this year. Kelly’s short story “Uncle Sam’s Pool” is forthcoming in Diverse Arts Project. 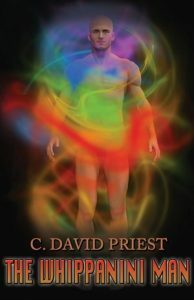 Congratulations to C. David Priest! The latest edition of his book The Whippanini Man (recently published with the help of Self-Publishing Relief) is available on Amazon. David Morris Parson has been invited to read from his book manuscript, The Divorce Comedy, at The One Page Salon, an event to be held in Austin, Texas, August 2015. Click here for info about One Page Salon! “…Belair’s poems make space for collecting and recollecting, sensing and seeking. Like exhibits in an airy but intimate museum, his images accrue: a barn broom shaped by use; a fruit vendor’s collapsed umbrella; sidewalk tables; park lamps…” Jody Bolz of Poet Lore. Poet Paul Watsky’s latest poetry manuscript Walk-Up Music was recently featured as a Kirkus Recommended Review. Click here to buy a copy of Walk-Up Music on Amazon. Click here to buy a copy of Walk-Up Music at Barnes & Noble. For more informaton about the readng, click here. We all wonder if we would do the right thing if called upon…even if it meant risking our own lives and sense of self. 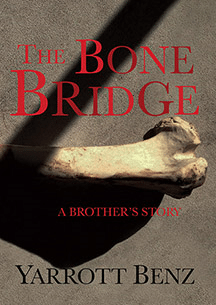 In THE BONE BRIDGE: A Brother’s Story, author Yarrott Benz is forced to deal with extraordinary self-sacrifice. This is the harrowing account of teenage brothers, as different as night and day, trapped together in a dramatic medical dilemma—a modern miracle and a modern nightmare.